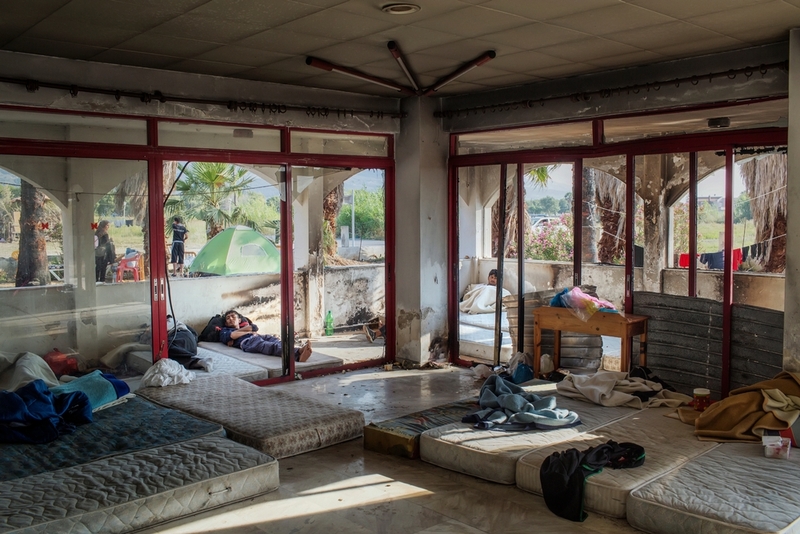 Thursday, 10 September, saw the immediate closure of the Captain Elias camp on Kos island, a makeshift building where authorities have been directing refugees to stay while awaiting their registration papers. Médecins Sans Frontières (MSF), who used the building for medical consultations, is expressing serious concern that there is now no provision of accommodation of any sort for new arrivals, despite repeated calls by MSF to authorities to provide adequate reception facilities on the island. Inside the Captain Elias camp, where conditions were precarious, with poor hygiene and safety. In its absence, refugees are now even more vulnerable. Since March, an MSF team has worked inside the Captain Elias structure and around Kos, conducting more than 4450 medical consultations, treating patients mainly for chronic diseases that need medical follow-up, upper respiratory tract infections, skin infections, muscle pain and gastro-intestinal diseases. 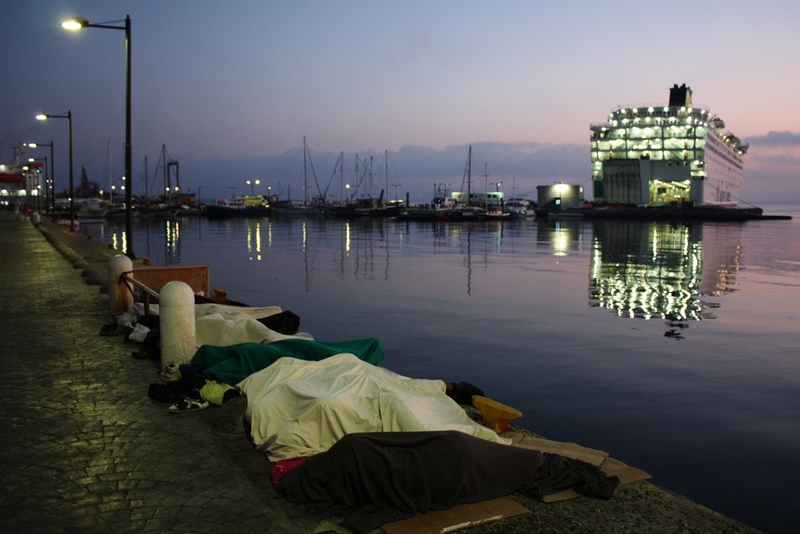 “It is unacceptable that this closure was not accompanied by any decision from the authorities to provide other facilities for refugees arriving in Kos” said Elisa Galli, MSF Field Coordinator in Kos. "There is no clarity on what will happen next, and authorities are not assuming their responsibilities about the well-being of these vulnerable people." 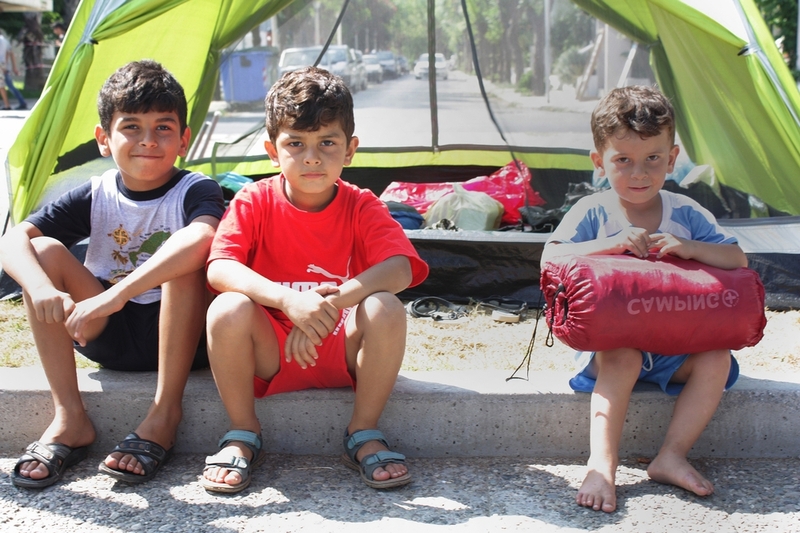 Young refugee boys sit in front of the tent they are currently living in by the side of the main road in Kos. MSF distributes the tents to those who need them. Three thousand people are currently scattered around Kos town waiting for permission to leave the island, which usually takes an average of eight days. “Without any shelter the refugees are exposed to weather conditions that soon will get worse, and they have little or no access to water and sanitation.” said Galli.